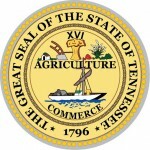 The Tennessee Power Of Attorney Form lets the principal choose an appointed person known as `The Agent` to have power of attorney should they become incapacitated and unable to choose themselves. The principal may alter the specific details regarding this power of attorney to suit their own personal preferences. The document is legally binding according to US statutes §68-11- 1801 to –1815 and will require 2 witnesses and a notary. 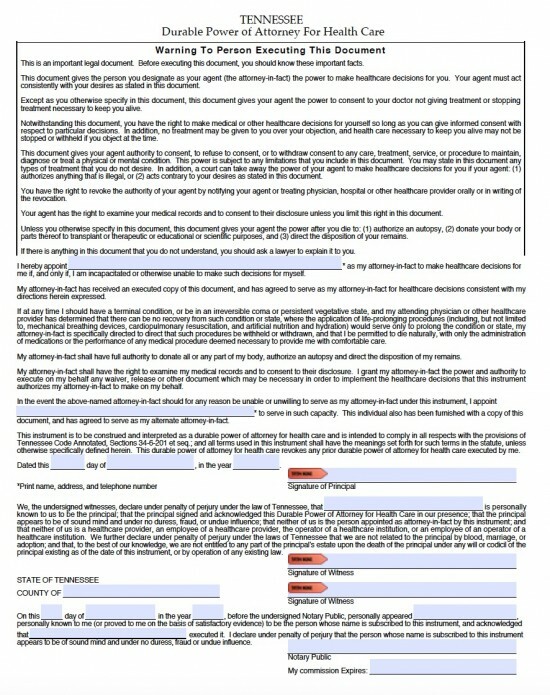 The principal, agents, witnesses and notary must enter their details.